Previous panelists included Chicago Police Department Superintendent Eddie Johnson, Cook County Sheriff Tom Dart, Chicago Public Schools Chief Safety Officer Jadine Chou, and Chicago Urban League President and CEO Shari Runner, all of whom shared their experiences with gun violence, their insights into the complex causes of the epidemic, and their ideas to address the problem. But perhaps no one offered as clear-eyed a diagnosis as the young people living with the realities of this violence every day. Fardon served as U.S. Attorney for the Northern District of Illinois from October 2013 until March 2017, when President Trump requested the resignation of all Obama-era U.S. Attorney holdovers. During those three and a half years, he saw an already devastating gun violence problem grow even worse. Upon resigning, Fardon submitted an open letter outlining what he saw as the long- and short-term issues driving the epidemic. The letter gained widespread media attention. The short-term view focused on the string of events in late 2015 — the release of the Laquan McDonald video, the initiation of a Department of Justice (DOJ) pattern and practice investigation, the firing of Chicago Police Superintendent Garry McCarthy, and an ACLU contract requiring increased paperwork for every street encounter — that preceded the highest murder rate in Chicago in nearly two decades, 771 homicides in 2016. “Those things exploded a powder keg that didn’t change fundamentally the landscape of gun violence or law enforcement, but they poured gasoline on the tragic aspects of those realities and further polarized our officers and our community,” Fardon wrote in his letter. The Northwestern Law panels, which featured perspectives of law enforcement, non-profit and community leaders, local government officials, and business and philanthropy leaders, have offered some consistent points of agreement — gun laws in neighboring states contribute to the large number of illegal guns used in crimes in Chicago, social media has allowed minor beefs to escalate dramatically, distrust between the police and the communities they serve has made it more difficult to keep neighborhoods safe — as well as an array of proposed solutions ranging from jobs programs for the highest risk youth to better monitoring of social media networks to identify risk. Still, Fardon and the panelists all stress that this is a complex problem for which there is no single easy solution. The kids growing up in and around those pockets of the city connect centuries of institutional discrimination against people of color — from slavery to Jim Crow to the current lack of opportunity in certain neighborhoods — to today’s crisis. Fardon’s series is just one of the ways the Law School is tackling the gun violence epidemic. Others in the community are addressing the problem with policy research or through collaboration with community partners. The Law School’s longest-running fight for youth affected by gun violence has been waged by the Children and Family Justice Center (CFJC) in the Bluhm Legal Clinic. For 26 years, the Center has represented individuals and advocated for policies to improve the juvenile justice system. Gun violence, including the laws surrounding guns, is one of its four main research and reform focus areas. Since joining the clinic in 2010, Stephanie Kollmann, the center’s policy director, has become a leading expert on gun violence, laws, and sentencing. A portion of her work focuses on how sentencing standards for crimes like possessing, but not actually using, a gun can actually exacerbate the problem of violence. That “conventional wisdom” was the idea that harsher sentences would reduce violence. Kollmann and clinic colleagues drafted a report that was signed by several dozen Illinois criminologists and law professors explaining why this wasn’t the case. Mandatory minimums in particular, they said, were unlikely to reduce gun violence. 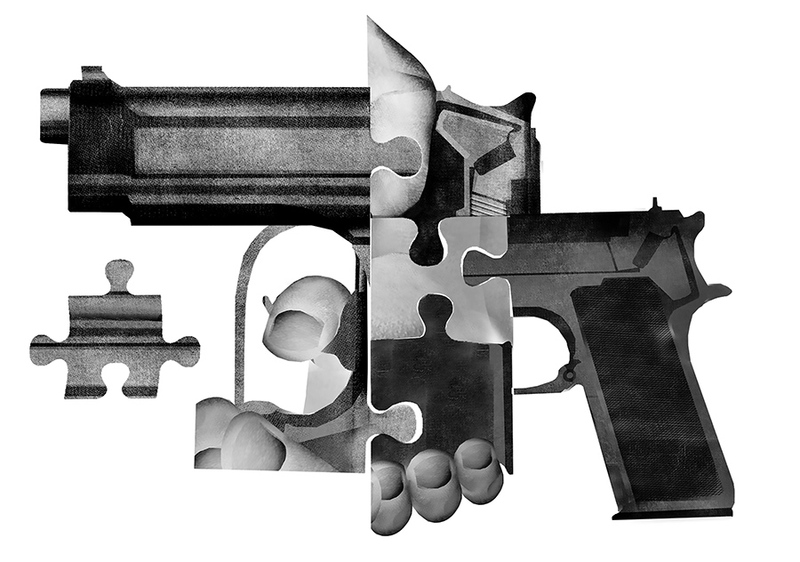 The 2013 report, “Combating Gun Violence in Illinois: Evidence-Based Solutions,” offered alternative, less-punitive solutions. Kollmann and her CFJC colleagues followed up the 2013 report with another one, “Building a Safe Chicago,” in 2016. This report featured nearly 50 signatories, including the ACLU of Illinois, the Chicago Urban League, and the Sargent Shriver National Center on Poverty Law, and put forth five pillars that the state should focus on if they want to see real change: putting public health first, reducing illegal handgun availability, tailoring punishment to the crime, ensuring police effectiveness, and investing to achieve equity. Each pillar includes robust research showing what works (and what doesn’t), and a number of specific proposals, including state licensing of gun dealers and drastically increasing investment in the city’s mental health services. Despite ample evidence that the previous six sentencing increases did not yield any measurable public safety benefit, the Illinois General Assembly passed the seventh in June of last year. Still, the organizations who signed on to the report are committed to pushing for evidence-based reform. The CFJC isn’t the only Bluhm Legal Clinic center working on the issue. This spring, a group of three students — two part-time MBA students and an MD-MBA student — examined the health and human rights impacts of gun violence in Chicago through the Center for International Human Rights’ Access to Health Project (ATH), which pairs interdisciplinary teams of student consultants from Northwestern’s professional schools with marginalized communities across the globe to assess the health needs of that community, and to design a targeted, sustainable approach. While their classmates focused on access to health technology in Kenya and assisting tuberculosis patients in India, Tom Van Grinsven, Megan Sypher, and Rishi Khakhkhar partnered with the North Lawndale Community Restorative Justice Hub for ATH’s first local project. Khakhkhar, who will begin his residency in emergency medicine next year, says studying gun violence through a public health and human rights course is a logical approach. Van Grinsven, Sypher and Khakhkhar’s project has two main components: assessing existing research about the relationship between economic development and a decrease in gun violence in Chicago and other major cities, and creating a “practical gameplan” that the Restorative Justice Hub can use to promote development in the North Lawndale neighborhood specifically. “North Lawndale, historically, has been plagued by gun violence,” Sypher says. “The south and west side, historically and notably, are places where the most gun violence and segregation happen in Chicago. We are focused in this neighborhood, asking what are the efforts, what are the levers that can be pulled in order to prevent gun violence? The gap that we’re trying to help fill is where does the for-profit community come into play here?” Sypher says. Van Grinsven, a schoolteacher in the Austin neighborhood, echoes Fardon’s repeated plea for even those — or especially those — outside the neighborhoods affected by gun violence to care about this issue. The last three panels of Fardon’s series took place after the February 14 mass shooting at Marjory Stoneman Douglas High School in Parkland, Florida, amidst renewed national attention on gun violence and gun control. 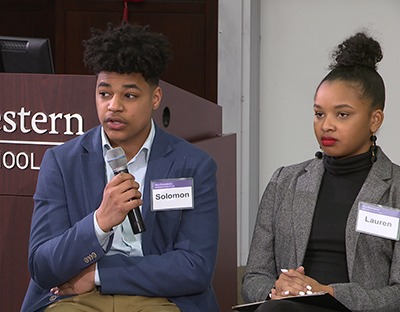 The Chicago students on the panel expressed conflicting feelings: they were glad to see the March for Our Lives movement enjoying some successes on policies they support, but upset that their own calls to action had so long been ignored. “We have people die every day, we have hundreds of people who die every year, thousands even, and so to have a nationwide movement over the shooting when we had nothing for years, that was infuriating almost. The shooting was terrible, but we had no one walking for us. It was another wakeup call that people will march for other lives and then not care about yours,” Smith says. Expanding the political power of those directly affected by gun violence is one way the Northwestern Law community can make a difference. “It’s extremely important that students come to understand their obligations as members of the bar to be engaged in addressing the social problems of our time. That is a hallmark of our profession and it is something that we aim to teach students at the Law School in general and in the clinic in particular,” says Bluhm Legal Clinic Director Juliet Sorensen. 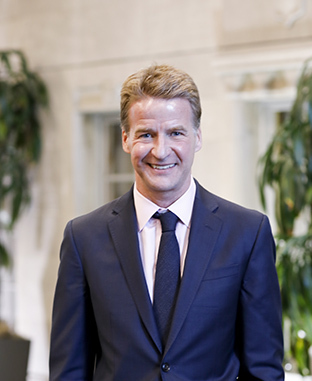 At every event in the series, Fardon urged audience members, especially students, to take ownership of the issue of gun violence in their city. “I knew going in the U.S. Attorney’s office that we were not going to reach a point where we sort of felt like, ‘Okay, we can hang up our victory sign, we’re done now,’” he told The Reporter.